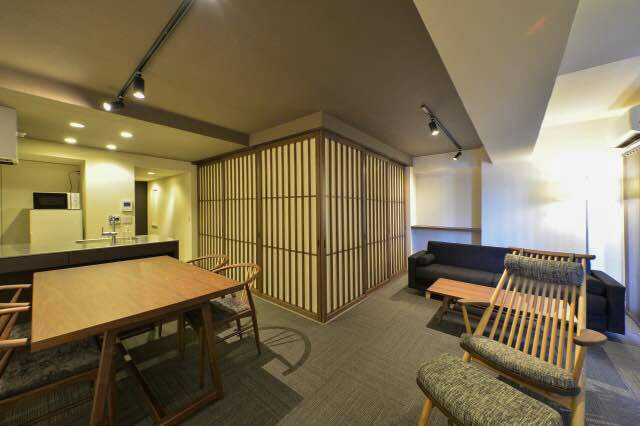 SPECIAL DELUXE Serviced Apartment in Hotel and Residence Roppongi – Jarman International K.K. Do you work in Roppongi Hills or Midtown? Need a furnished, serviced apartment? Our stylish, boutique hotel, Hotel and Residence Roppongi is a fantastic accommodation option for you in the heart of Tokyo. Conveniently located just 7 minutes from the Hibiya and Oedo subway lines’ Roppongi Station, surrounded by a multitude of fine fashion shops as well as offering a huge selection of cafes and restaurants. Like it’s name suggests, the Hotel and Residence Roppongi has a combination of conventional hotel rooms/ residential furnished serviced apartments and convenient work space to meet the the unique needs of our guests. 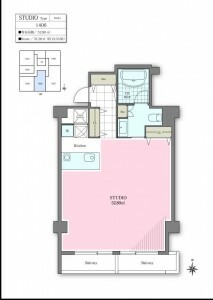 Today we feature the roomy and modern Japanese SPECIAL DELUXE apartment 1406 (52.80 sq. 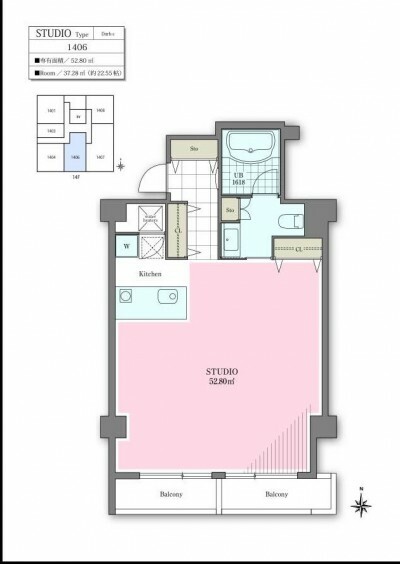 meter one bedroom (bedroom is separated by sliding doors). Available for check in from early August, please consider this apartment, featuring views of Tokyo Sky Tree from the balcony, for your home ground during your short to extended stay in Tokyo. The clean, Japanese modern style interior features a 180cm wide king sized bed, sliding fusuma style doors to separate the sleeping area from the rest of the space, great storage area, an ample and comfortable meeting/dining area, and more. There is even a television for you to enjoy while lounging in your furo bath! Wi-fi is free throughout the building, there is a rental salon meeting room as well as a business center, cafe and restaurant for entertaining and getting work done. Contracts are welcome for apartment 1406 for one month or more and rent is 500,000 yen/month (Utility fees, all appliances and utensils, weekly cleaning, etc., are included in the rent. There is no tax on this rent as well). The 24 hour bi-lingual concierge will help make your stay even more efficient and the art displays around the building by up and coming Japanese artists will inspire your sense of creativity. Please inquire about our flexible lease terms and credit card payments are also accepted. FYI: Facilities at the Hotel and Residence Roppongi include the choice of five restaurants, a library, a broadcasting studio, an event space, a reception-lounge, meeting rooms, multi-lingual speaking staff with 24-hour concierge service and much more. Here is the building review from the Deep Japan traveller resource: review. Please contact us from here for more information. Next → Next post: Deep Japan – Gorgeous and Exotic “Pontocho” in Kyoto!